Studio portrait of 7150 Lance Corporal (LCpl) Harold James Gray, 23rd Reinforcements, 8th Battalion, of Balmain, NSW. 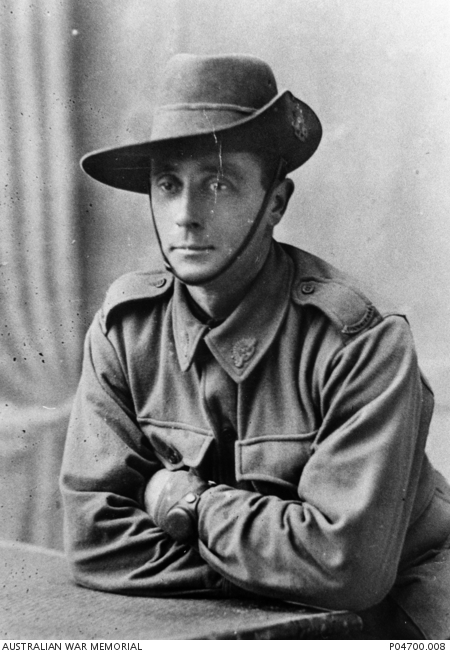 LCpl Gray enlisted in Parkville, Vic on 25 October 1916 and embarked from Melbourne aboard HMAT Hororata on 23 November 1916. He was killed in action on 17 December 1917, in Belgium, aged 32 years. LCpl Gray was the amateur bantam weight champion for Victoria in 1908 and 1909, he retired for four years and re-entered the boxing field and became the runner up champion for Victoria in 1912.